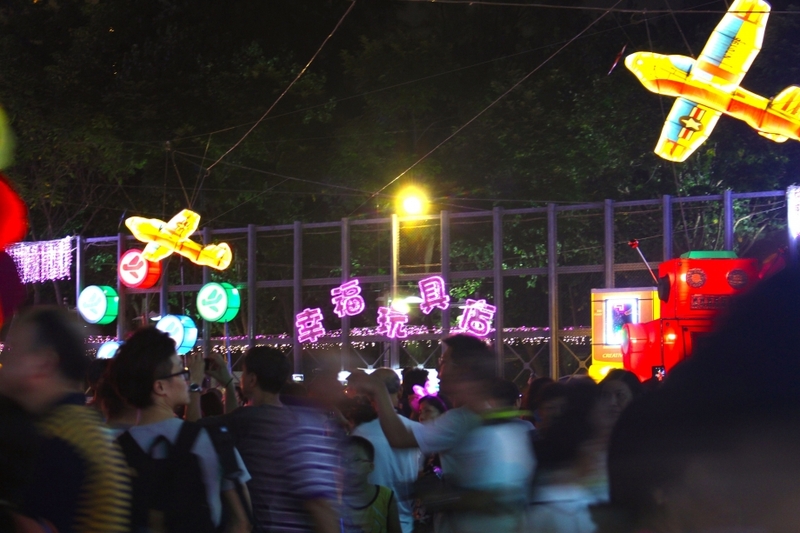 The Chinese Mid-Autumn Festival falls on 8 September 2014. 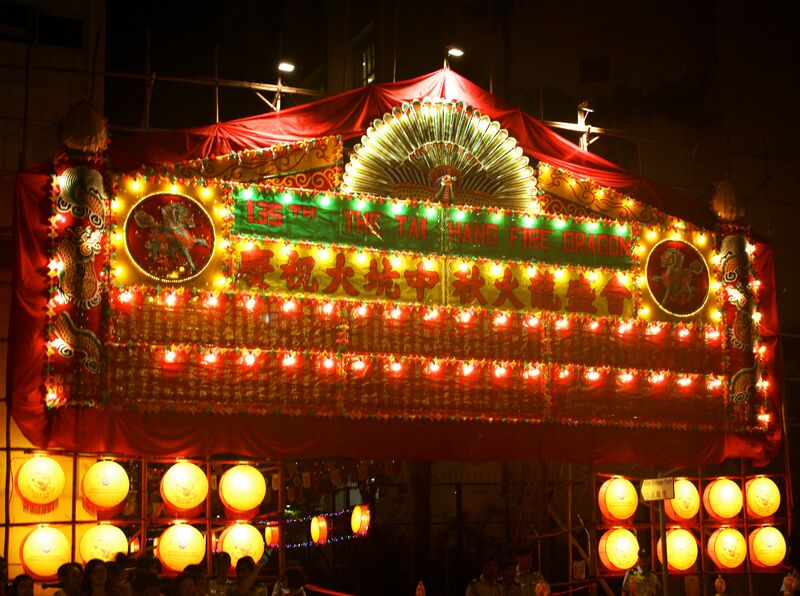 It is one of the important festivals that gets celebrated with zest in Hong Kong. 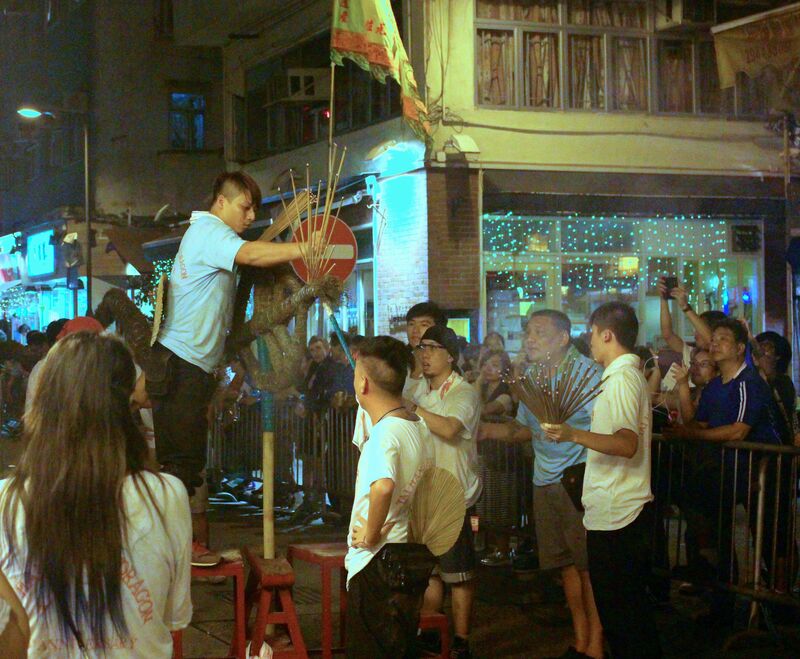 The locals still practise the tradition of presenting mooncakes as gifts for their family members and close friends. 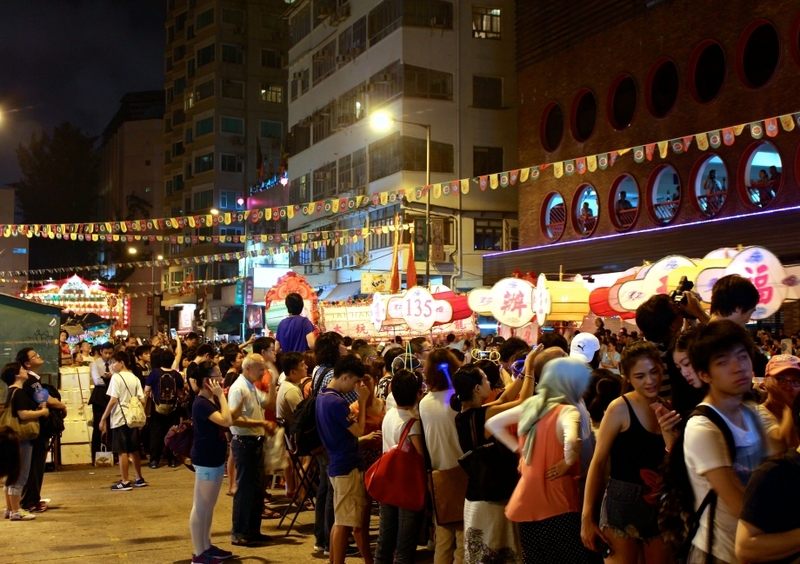 Hong Kong people also take the opportunity to organise reunion dinners with their family on that day, much like reunion dinner Singaporeans usually have on the eve of Chinese New Year. For the same reason, many companies will usually allow their employees to leave work earlier for them to head home and prepare for the dinner. My company allowed us to head back at 4pm this year woohoo! 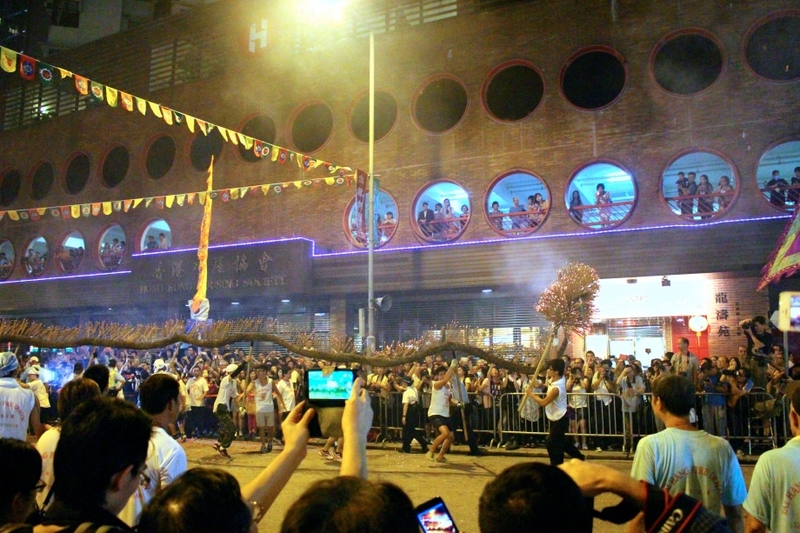 Besides mooncakes and reunion dinner, the Tai Hang Fire Dragon Dance is also a famous and popular activity in Hong Kong for the Mid-Autumn Festival. So what is this Fire Dragon Dance? 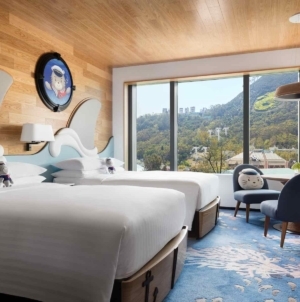 Well, it all started with the legend that in the 19th century when a few days before the Mid-Autumn Festival a typhoon and then a plague wreaked havoc on the village of Tai Hang. Whilst the villagers were repairing the damage, a python (believed to the son of the Dragon King) entered the village and ate their livestock. A soothsayer then decreed the only way to stop the chaos was to stage a fire dance for three days and nights during the upcoming festival. 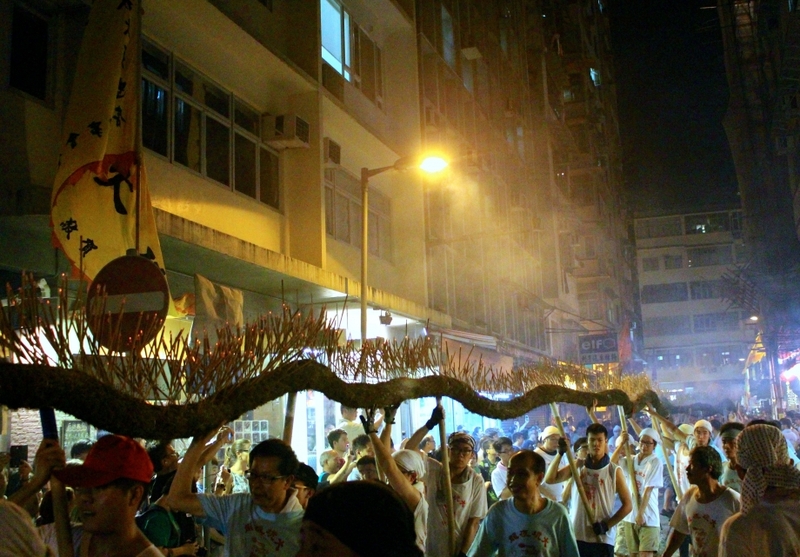 The villages made a huge dragon of straw and covered it with lit incense sticks. Accompanied by drummers and erupting firecrackers, they danced for three days and nights, and the plague disappeared. 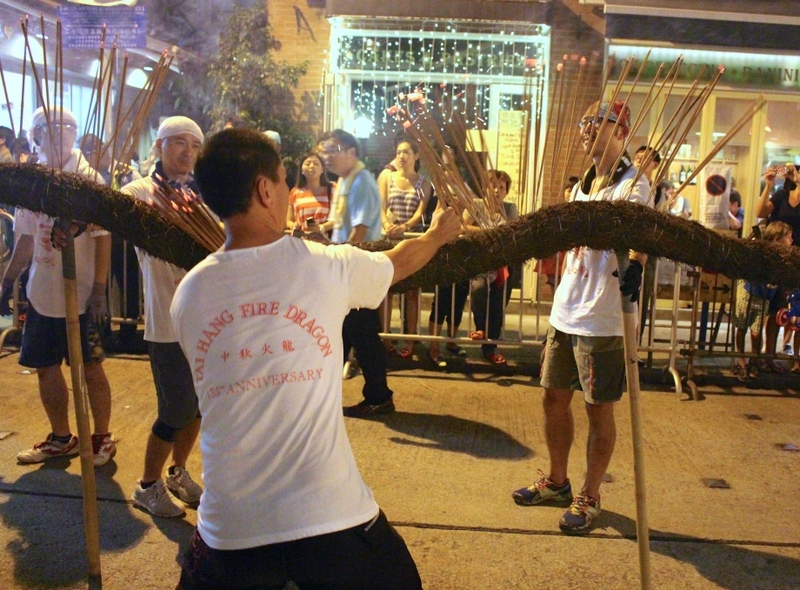 The Fire Dragon Dance continued to this day for three days over the Mid-Autumn Festival. 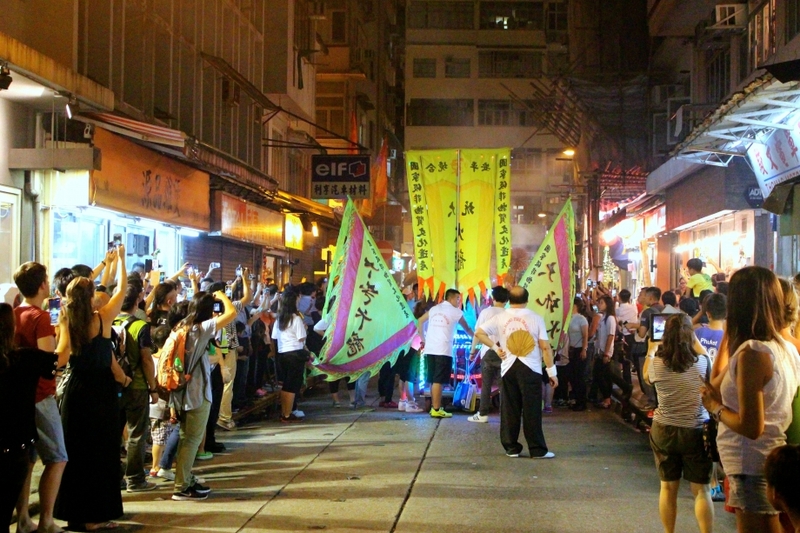 The performance was scheduled to start around 8.15pm at Tai Hang. 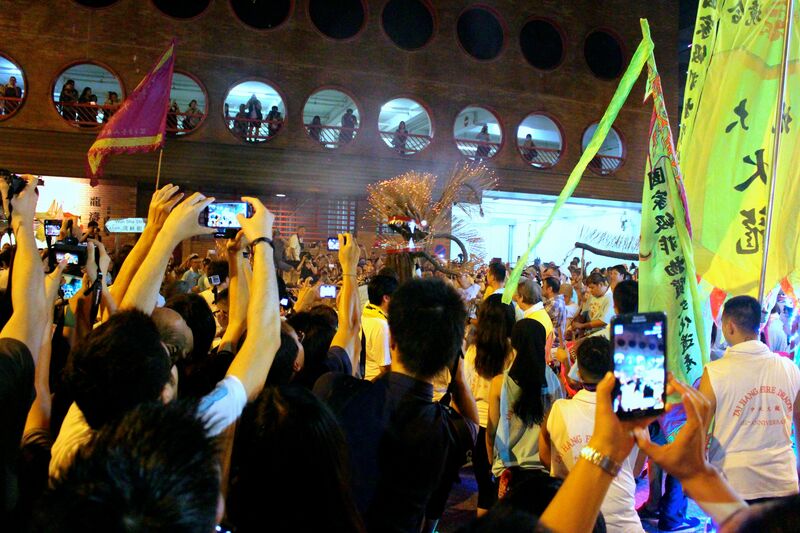 By the time we arrived around 8pm, the place was already full of excited people waiting to witness the dragon dance. 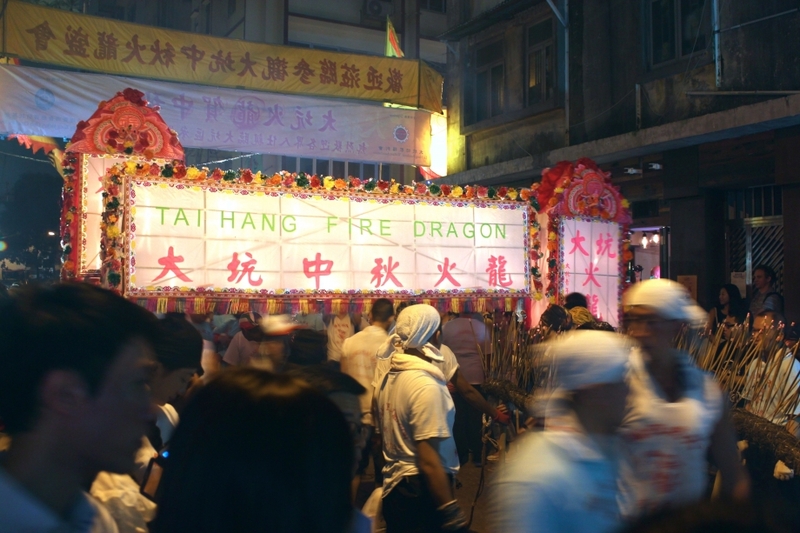 We decided to take a peek at how the dragon was created and proceeded to the “starting point” where the dragon dancers were preparing the Fire Dragon. They first light up the incense sticks in bulk. 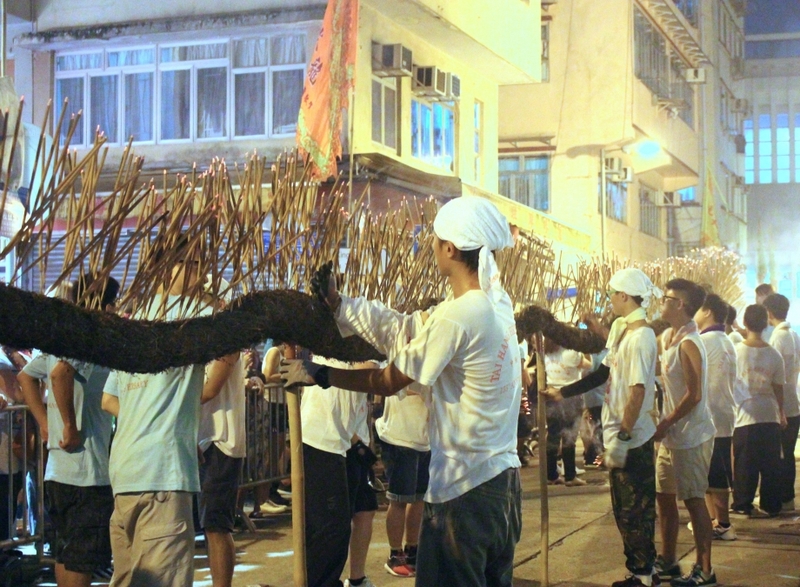 Then section by section, they try to stick the incense sticks onto the straw dragon. This is a dangerous and painful process as the ashes from the incense sticks will fall / fly and hurt anyone nearby. 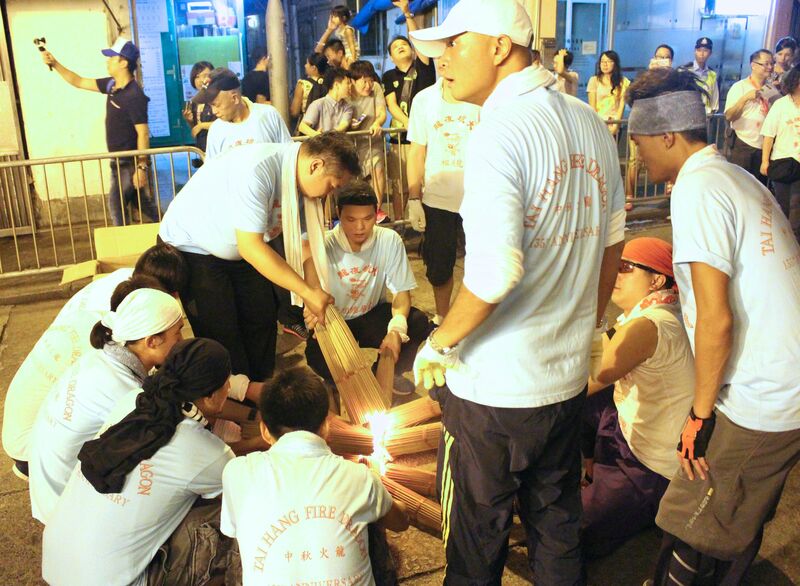 Some of the dragon dancers took precautions by wearing goggles and others have a towel placed on their arms. The most impressive portions were the dragon head and its tail. The whole process of turning the dragon into a Fire Dragon took almost half an hour. After which, the dancing began. 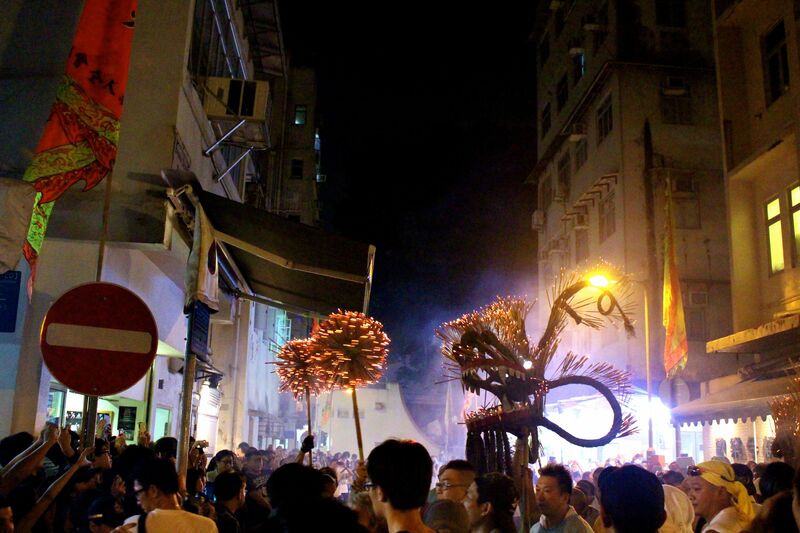 The Fire Dragon danced through a specific route which was cordoned off by the police. People tried all ways and means to get a good view (and pictures) of the Fire Dragon, including getting there early to get a good spot, bringing their own stools and even ladders! Since we arrived relatively late and were checking out the preparation process, we couldn’t really see the Fire Dragon dance properly. When it came near, everyone raised their smartphones and cameras over their heads. Feeling somewhat disappointed, we decided to grab some unique flavoured ice-cream from Lab-Made just down the road. They had the double egg-yolk mooncake flavour so I decided to give it a try even though I was skeptical about it. 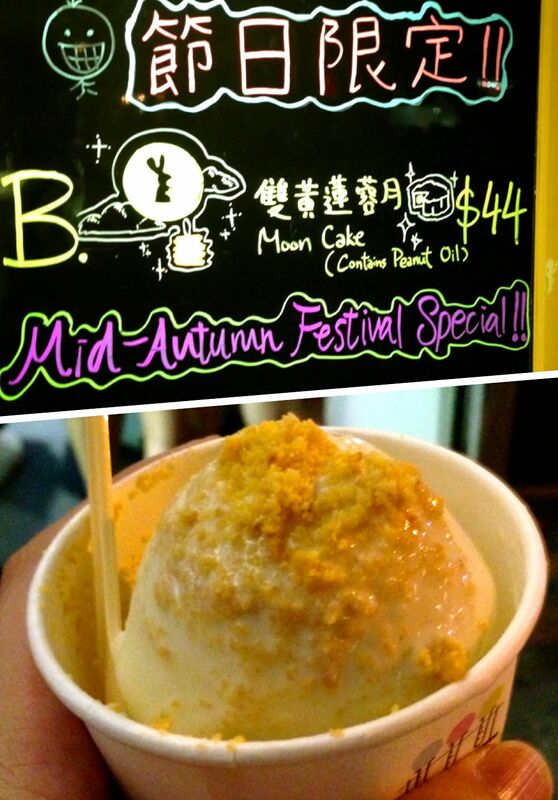 It was sweet and savoury at the same time, tasted just like the actual mooncake! Yummy! What’s even more awesome was while we were waiting for the ice cream, the Fire Dragon decided to come round the street just next to the shop, which was not cordoned off! This time, I had the best view! This time, I had the best view! This is one of the rare local scenes which I would encourage visitors to attend if they are visiting Hong Kong during that period. 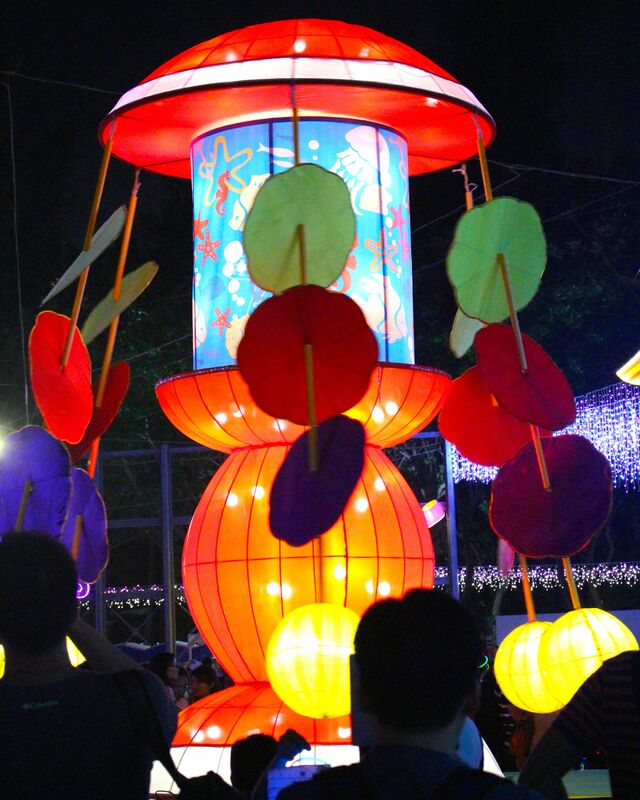 After the excitement, we walked to Victoria Park for the Mid-Autumn Festival Lantern Carnival. 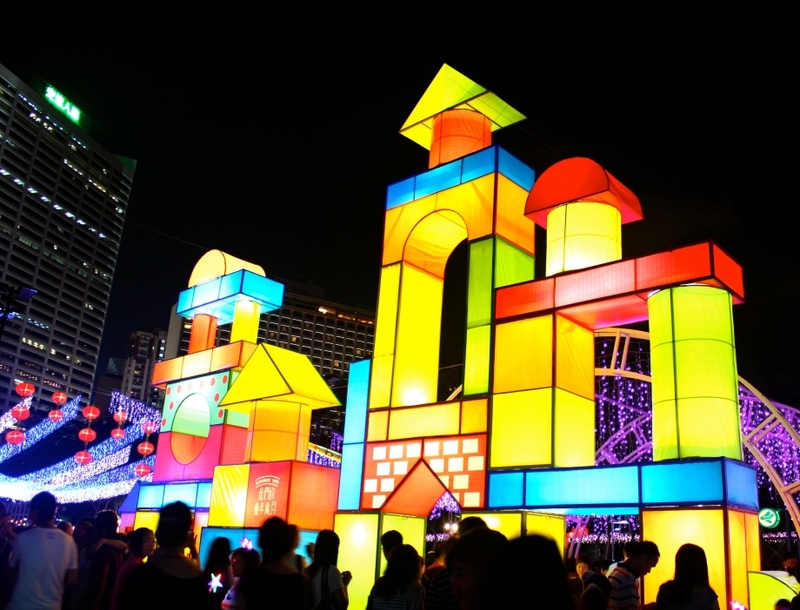 The park was decorated with lantern displays with the theme of toys this year. I was told that the Hong Kongers would bring the whole family down to the park for the celebration after dinner so I guess that explains why the place was so crowded. 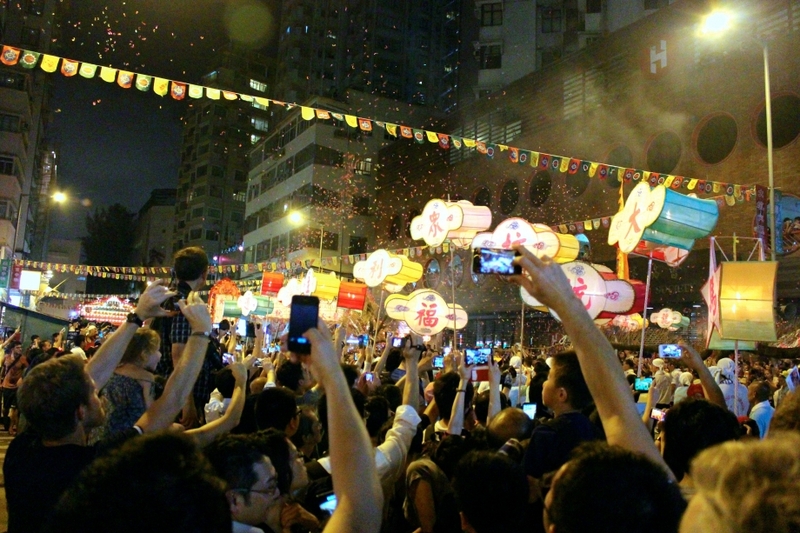 Although the weather wasn’t great – it was really hot and humid – I’m glad I finally went for the Tai Hang Fire Dragon Dance this year and celebrated the Mid-Autumn Festival with the rest of Hong Kongers (and visitors). At least now I know where a good vantage point for the performance is – the car parks opposite where the row of shops is, i.e. opposite 7-11. Ssshhhhh… Don’t tell anyone I told you that! 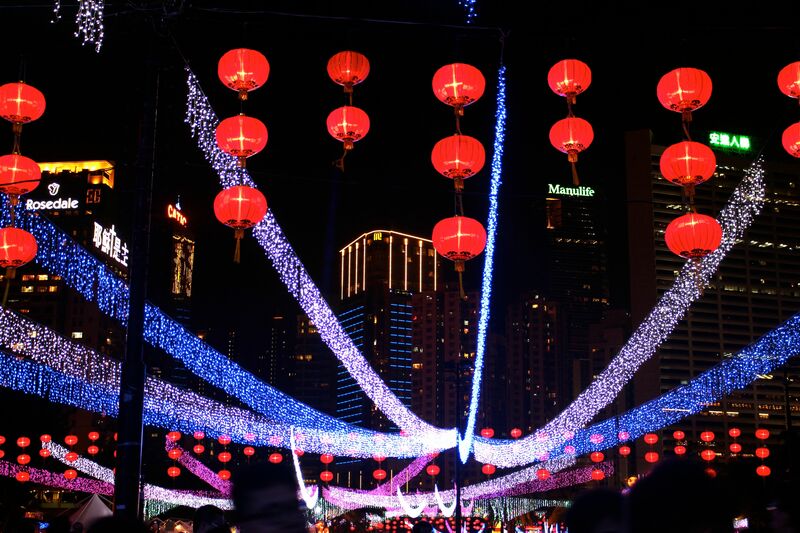 Dariel Lim (@wheresdariel) is a Singaporean who lived in Dubai for 6 years before moving to Hong Kong in 2012. 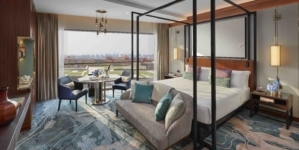 She had already travelled to 27 countries including Egypt, Lebanon, Kenya, Sri Lanka, Russia, Germany, and the USA and is still planning for more. 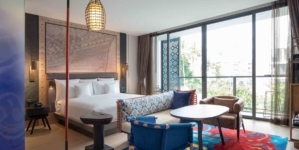 She shares her itineraries and stories on http://wheresdariel.com. Check this out (Tai Hang Fire Dragon Dance) if you will be in Hong Kong for Mid-Autumn Festival!